Many religions share similar rituals and practices, and yet these acts are performed in diverse ways and hold unique meanings and symbolism for each group. This project, in partnership with Interfaith Conference of Greater Milwaukee, explores some of these common religious practices, such as prayer, scripture reading, and eating together. I hope to show the complexity of both the similarities and differences of the diverse religions being practiced in southeast Wisconsin through photography and personal interviews. Herjinder serves as a priest at the Sikh Temple in Oak Creek, WI, and he was gracious enough to sit down with me for an hour recently. Our conversation (you'll find the condensed version above) ranged from his personal experience as a Sikh to his thoughts on the philosophies and practices that make Sikhism both unique from and similar to other religions. 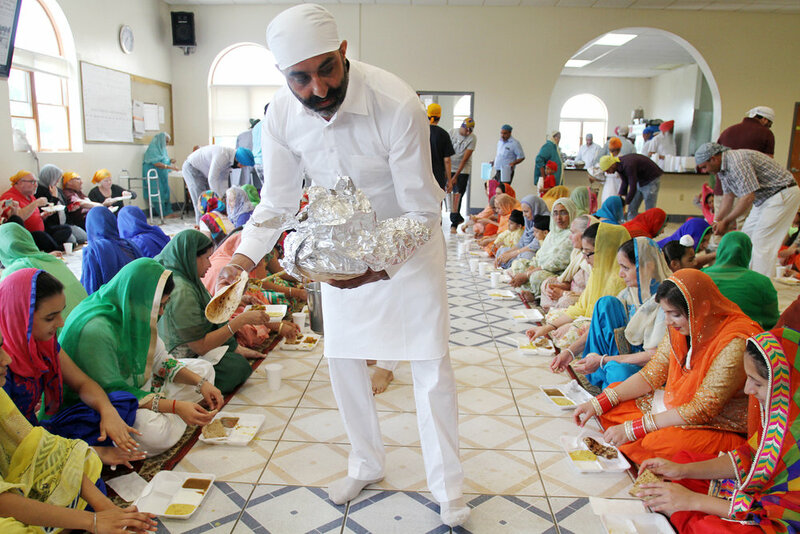 He shared an eloquent passage from the Sikh holy scripture, the Guru Granth Sahib. And, he spoke with emotion about the Sikh community's response to the tragic terrorist attack on the Oak Creek temple by a white supremacist in 2012. I came away from our conversation feeling grateful for the opportunity to sit in the presence of such a humble, wise man.